Hollywood movies are known as the most spectacular as well as well-written ones in the entire industry. Hollywood produces the very best special effects, CGI, practical effects, set and sound designs. Of course, the actors, who star in Hollywood blockbusters, must look and sound absolutely perfect and that is why the celebrities do their best to play the part. Hollywood imposes certain beauty standards and criteria that most people try to follow. However, are the actors in Hollywood blockbusters actually working out for years in order to achieve these results? This is a very interesting question and the answer is somewhat apparent if you start to analyze things closely. Let us take only a few examples of actors, who changed their looks drastically over the course of several years. First of all, Christian Bale – a talented actor, who is known for a number of great roles, including the famous role of Batman/Bruce Wayne in Christopher Nolan’s epic trilogy. When you see Bale in Batman Begins, he is a very well looking young fellow – a genuinely buffed guy with lots of muscles, who is perfect for the role of fearless street vigilante. However, could you believe that only a year ago Bale looked like a dystrophy sufferer, with bare bones and thin skin? 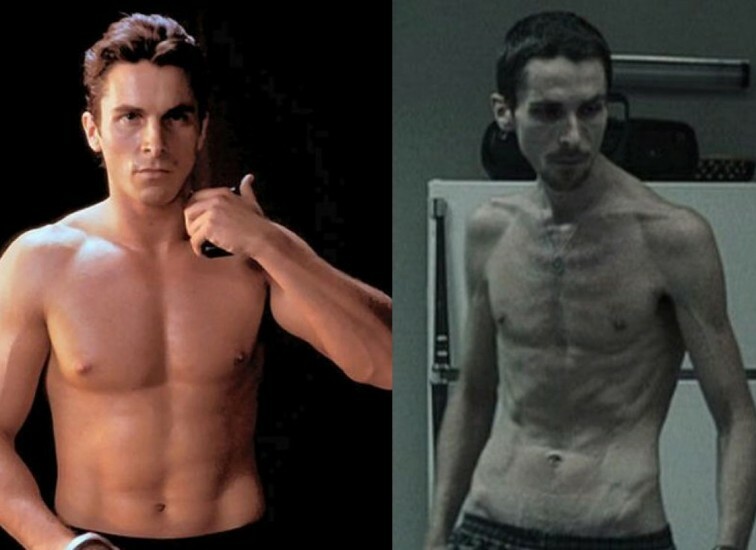 It is true – just watch The Machinist – one of Bale’s most impressive dramatic works, where he looks like a walking and talking skeleton. It took him a single year to get back into shape and to turn into a buffed version of Batman – how crazy is that? This leads to a natural conclusion – the actor was using certain anabolic steroids that helped him gain a whole lot of muscles within a very limited amount of time. No man can turn into Batman after only a year in gym, especially if you came there with nothing but bare bones. 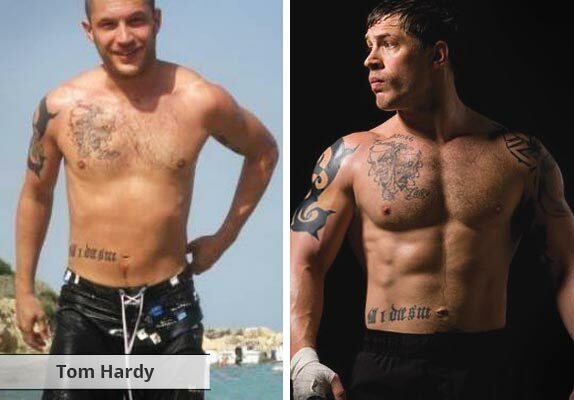 Another great example is Tom Hardy – also well known from his role in the third and final part of the Dark knight trilogy, where he portrayed Bane – the notorious villain, whose main strength lies within his muscles. When you see Tom Hardy on scree, he is a menacing presence, who looks very strong and nearly invincible. However, it took the actor only 9 months to achieve these results and if you will ask any specialist, he will probably tell you that steroids were involved as well. Hollywood is showing us great special effects, but we do know that some of those effects cannot be achieved with real life physics. Similarly, one cannot look like famous Hollywood actors without resorting to various PEDs and anabolic steroids and that is the certain truth.